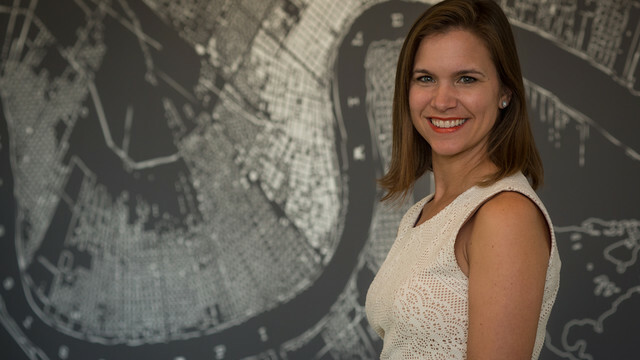 Catherine Burnette, an assistant professor at the Tulane School of Social Work, grew up on a small farming community in Iowa. As a child, she felt this pressing need to see, firsthand, what lay beyond her rural home. She wanted to travel the world, learn about other cultures, and develop an understanding of how communities large and small came together to overcome challenges. As Burnette grew older and began to travel and absorb new experiences, her hunger to learn about other cultures only grew stronger, along with a deep desire to make a difference in the lives of others. Burnette has followed her heart and her academic interests. Today, she is developing a body of knowledge about the resilience of the United States’ Indigenous peoples. Burnette has worked with tribes in the southeastern United States to learn about the incidence of violence, mental health issues, substance abuse, and poor health. She has conducted extensive interviews with tribal members to gather their life stories and experiences to develop a “Framework of Historical Oppression, Resilience, and Transcendence (FHORT),” a model that identifies both risk factors that contribute to hardships and protective strengths that build resilience, and transcendence in the face of adversity. The first of the defining experiences that would later shape the trajectory of her career took place when Burnette, at the age of 10, visited northern Mississippi with her family to work on a community service project. She was taken aback by the poverty and affluence that existed side by side — by the stately homes that stood within walking distance of ramshackle cottages. “There were very overt differences in how people lived right next to each other. I had never been exposed to that,” Burnette recalls. Later, as a college student majoring in dance, Burnette traveled to Ghana. She saw widespread poverty, hunger, and homelessness on the streets of Accra, the country’s capital. That path would eventually lead to social work. In graduate school, as she began to narrow the focus of her study, Burnette remembered something that her mother, also a social worker, had told her years before as Burnette was exploring careers that would allow her to make a difference. Her mother had advised her to pay attention to the problems of the downtrodden and disenfranchised in the U.S. The comment began to resonate with Burnette. She immersed herself in gaining a deeper understanding of the historical oppression of Indigenous peoples in the U.S. She learned about the forced displacement, genocide, the removal of children from families, and the repeated attempts to erase language and culture. She began to understand the economic, social, and health disparities that Indigenous communities face. She volunteered in the campus Native student association and made connections with Native faculty members. She found the opportunity to work with a tribe. Through her interactions, she discovered many threads of commonalities in her own upbringing and in the values she admired among Indigenous peoples — a focus on family, being grounded, and having respect for the land. The life expectancy of American Indians and Alaska Natives is 5.5 years shorter than that of the general U.S. population. American Indians and Alaska Natives also die from chronic disease, assault, and suicide at higher rates. The disparities extend to education and economic status as well. Only 67 percent of Native students graduate from high school. In 2012, roughly one quarter of American Indians and Alaska Natives were living in poverty. Other projects under Burnette’s auspices seek to improve the understanding of factors that impact the health and well-being of Indigenous peoples. She is investigating the barriers to health care faced by Indigenous women who have survived cancer. She is collaborating with a student to study the beneficial effects of gathering and growing Indigenous foods and subsistence practices. 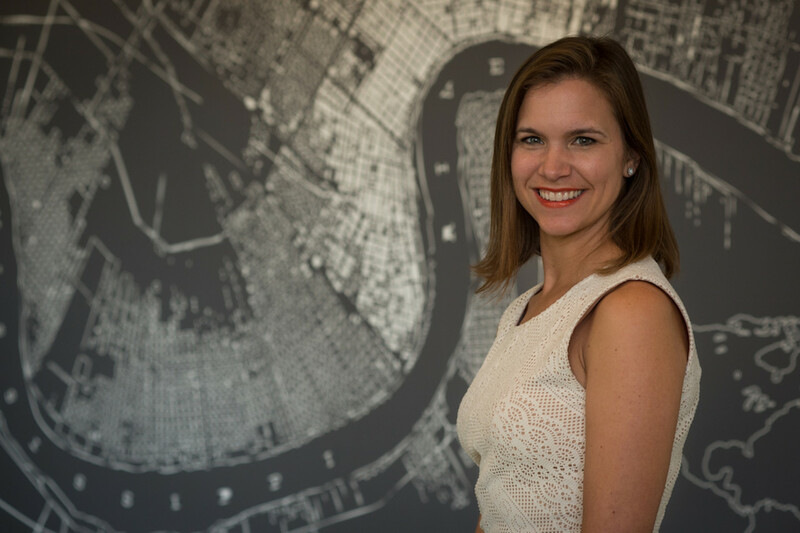 Burnette joined the Tulane School of Social Work in 2013. She has published more than 35 peer-reviewed journal articles and presented at national and international conferences focused on Indigenous communities. She has contributed to federally funded research to address violence and health disparities using culturally relevant intervention approaches. Burnette stresses the importance of cultural sensitivity in working with Indigenous groups. Her training came from a Montana elder, Emily Matt Salois, who taught her how to be respectful and culturally sensitive while working with Indigenous communities. Burnette is passing on that knowledge to her students at Tulane. She has developed toolkits on how to develop cultural sensitivity and to work collaboratively and respectfully with Native people. She stresses the importance of recognizing and understanding the cultural assets of Indigenous communities. Burnette’s students often ask her for career advice. To answer them, she draws from her own experiences in higher education.